It's been two years since the release of American Truck Simulator. These were very hectic and demanding times for our development team but gave us all a lot of joy, too. Over the development of the game, the dedicated ATS team size has grown from the starting brave four to almost forty people at this moment. And we keep on growing, as we are acutely aware that we need to produce more content and more features at a quicker pace. 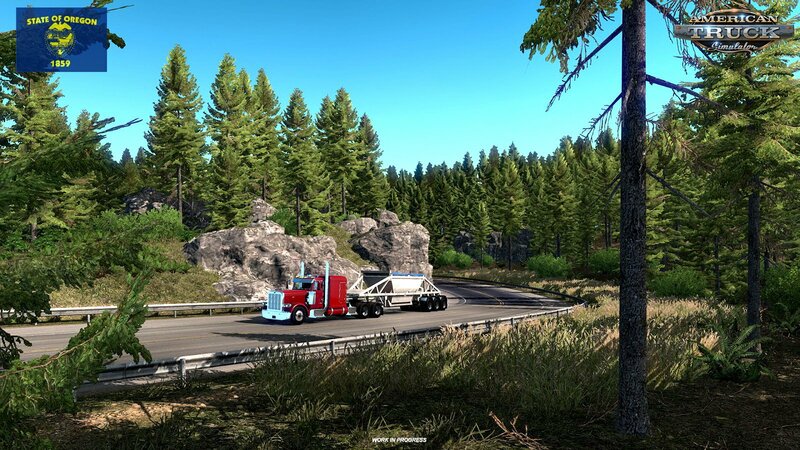 Our latest addition to ATS universe - the New Mexico map expansion - won the hearts of our players and has been critically acclaimed by both media and the community. We're extremely grateful for it, it gives us the energy to do our job the best we can and the desire to surpass ourselves and push the boundaries further. We posted a few photo-hints in our previous teaser blog post to start your imagination. 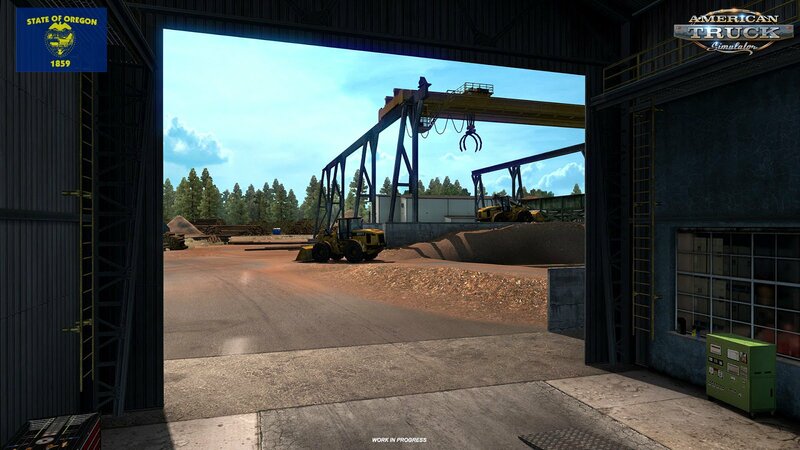 It's time to lift the veil now and show you the next step in ATS world development. There are several possible and logical directions... East? Or North? Can it be Northeast? Rest assured that serious research and pre-production is happening in all these directions, but for actual production, the winner is North! Ladies and gentlemen, please welcome to ... Oregon! Oregon, the Beaver State, will be the new addition. 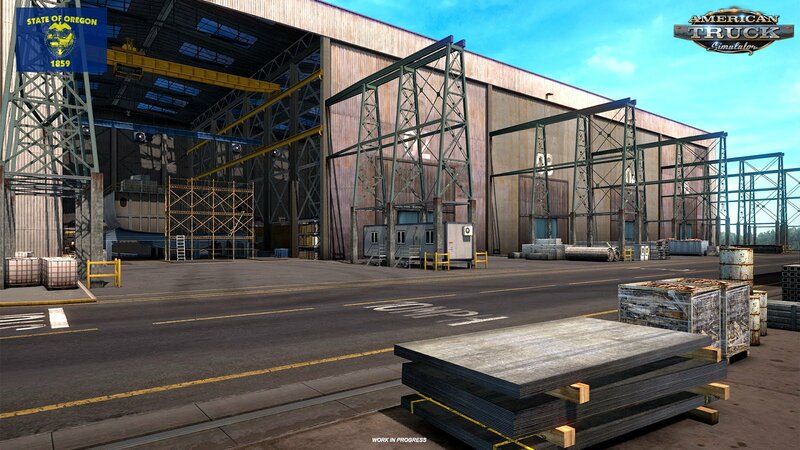 Depicting the very diverse environments across Northern America is always an exciting challenge for us. Oregon's nature surpasses everything we've encountered so far. Extensive deep forests, dense shrublands, deep calm lakes, wide rivers, steep mountain ranges, volcanoes, high desert and the Pacific Ocean's coastline. All stacked onto territory just a little larger than the United Kingdom! Natural diversity is, of course, reflected in demographics and industry. 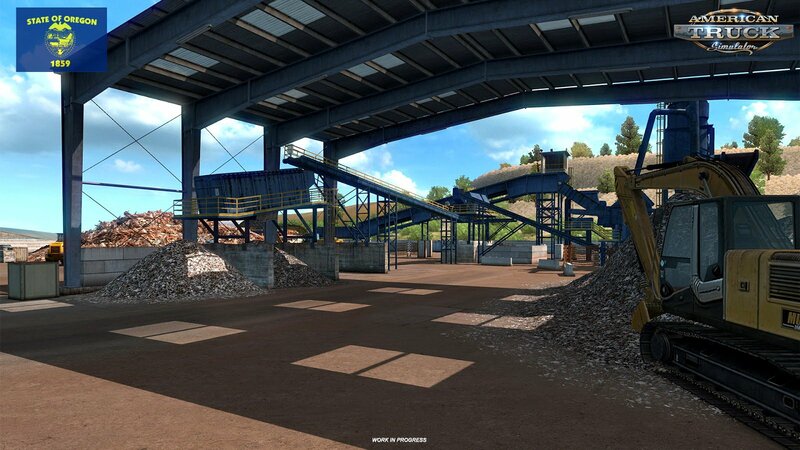 You can look forward to the in-game economy being extended by the local industry corresponding to the reality of Oregon, like traditional wood harvesting and processing at sawmills followed with paper mills and furniture industry. We have not forgotten about other industry like technologically advanced Silicon Forest and other manufacturing centers. 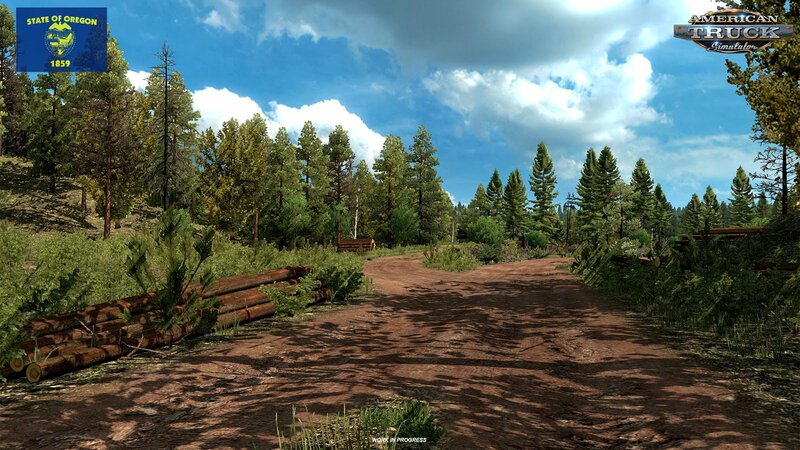 Make sure to follow our blog, we'll publish a series which introduces our newest map expansion Oregon and bring interesting news from development. 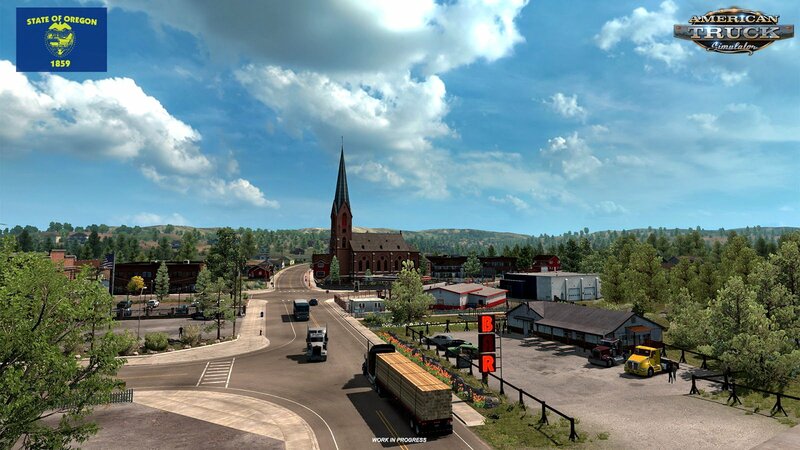 American Truck Simulator heads towards New Mexico!